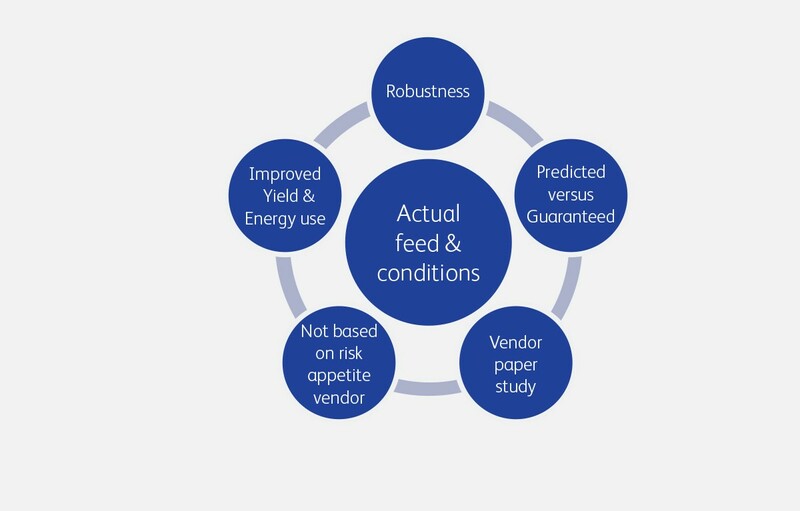 Q8Research has pilot plant equipment available to process crudes and other feed stocks. Product fractions can be analysed and used for performance testing and further research. Catalysis processes can be simulated in our catalyst pilot plants for catalyst research, catalyst perfomance testing and benchmarking catalysts from different vendors. Separating the crudes (and other feed stocks) into fractions and analysing them provides insight into the product yields and the perfomance of the distillate products in downstream units and as final products. Distillation can be done under Atmospheric and under vacuum conditions and is done according to the official ASTM norms. During a single run, a volume of 10-15 litre of Hydrocarbons can be fractionated and the cut points between the fractions can be set according to the customer needs. A full crude assay and distillation curve is generated inclusive product yield and detailed product characterization. 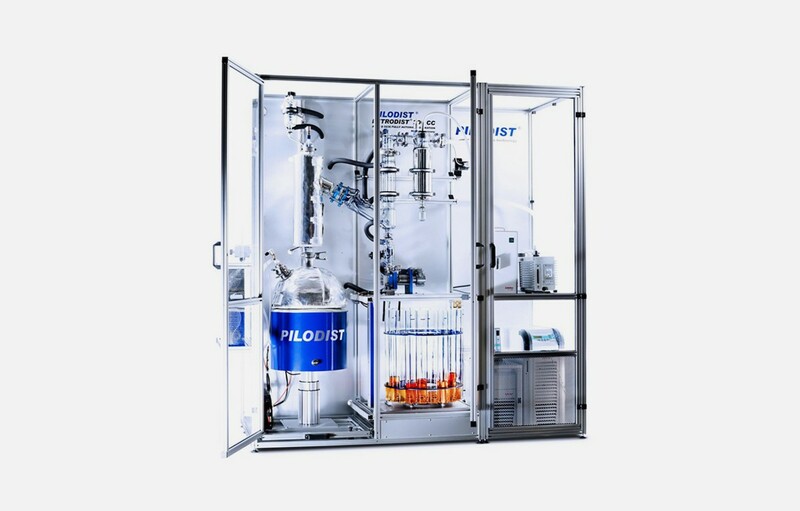 High throughout pilot plant with 16 fold parallel reactor system for fast and accurate catalyst testing. The main catalyst unit is a state of the art high throughout catalyst testing unit. The plan contains 16 reactors suitable for fast, accurate and efficient testing. The system is capable for testing Vapour + Liquid feeds e.g. Hydrocracking or Hydrodesulphurisation. The catalyst unit enables catalyst testing with commercial catalyst, according to the design of the unit in the refinery with the actual feedstock. The catalyst testing can be performed for several weeks up to several months to have a realistic feedback on time-on-stream activity. The obtained results can be scaled up to a larger reactor and sufficient product can be produced to characterize it and do performance testing (up to 1 l/day). The Q8Research team of R&D Scientists and Technicians has over 50 years of experience with product characterization. Q8Research has started catalyst testing in 1985 and has a proven track record with Hydrodesulphurisation, Hydrocracking and Catalytic Dewaxing.